Three days after Gov. 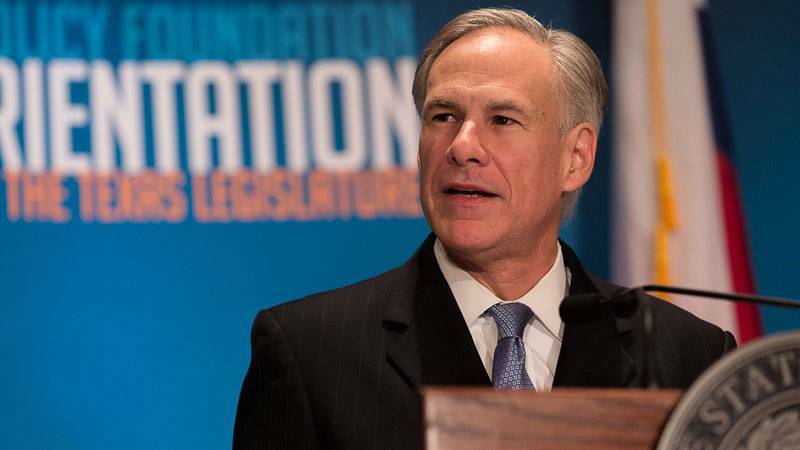 Greg Abbott called for a convention of states to amend the U.S. Constitution, his fellow high-ranking Republicans in Texas — typically quick to chime in with support for the governor — have kept uncharacteristically quiet about the proposal. Abbott received a standing ovation at a conservative think tank's conference on Friday after he unveiled nine proposed amendments to the U.S. Constitution, intended to bolster states’ rights while reining in the powers of Congress and the federal government. The governor predicted a majority of Americans would support amending the Constitution to require Congress pass a balanced federal budget and allow states to override federal laws and U.S. Supreme Court decisions. Yet outside of the Hilton ballroom in Austin, Abbott's proposal has not drawn the same instant praise. Several GOP state leaders including Lt. Gov. Dan Patrick and House Speaker Joe Straus have yet to weigh in on the proposal. Neither representatives for Patrick nor Straus responded to questions from The Texas Tribune Monday. Cynthia Meyer, Texas Attorney General Ken Paxton's spokeswoman, suggested Paxton believed Abbott's amendments “ought to be considered” but stopped short of confirming he supports Abbott's proposal for a constitutional convention. “Perhaps this bold call causes Congress and the courts to listen to the American people and return their focus to a limited government,” Meyer said. The ambivalence among many Republican officials underscores the divisions among conservative grassroots about how Abbott proposed for the U.S. Constitution to be amended. The standard method for making changes requires a two-thirds vote from both chambers of Congress. Each of the document’s 27 existing amendments was approved that way. But the Constitution also permits a second, unrealized method for passing amendments. If 34 states ask for a constitutional convention, delegates may meet to consider changes to the Constitution — which could then become law if they had the support of at least 38 states. In 2015, the Texas House passed a bill calling for such a convention but it failed to pass out of the Senate. Critics say this method would risk leading to a “runaway” convention, where states could radically alter the document that forms the backbone of U.S. governance. Abbott has said those concerns are without merit. After the governor’s speech on Friday, at least one elected Texas Republican suggested disagreement with Abbott's plan. Simpson is running for the Texas Senate. A spokesman for his chief opponent in that race, state Rep. Bryan Hughes, R-Mineola, did not respond to a request for comment on his position about Abbott’s proposal. One of the strongest supporters of Abbott's plan, state Rep. Paul Workman, R-Austin, has pledged to pass the proposal in the next legislative session. "I have committed my full support to the governor in making sure Texas takes the lead in restoring the rights of the states and putting our country back on track," Workman wrote in TribTalk, the Tribune’s op-ed site. "Now is the time for a convention of states." “Texas families deserve serious solutions, not Tea Party nonsense,” said Texas Democratic Party Deputy Director Manny Garcia. Yet the Tea Party is far from united on the issue. “Texas conservative grassroots have come a long way in educating ourselves and building our influence, but this is not something we are ready for until our numbers are much bigger, our influence is much stronger, and frankly, not until we take seriously our need for much more education on the role of government and how it should work,” she wrote in an email. That view was shared by Konni Burton, formerly of the NE Tarrant Tea Party and now a Republican state Senator from Colleyville, in 2011, when then-Texas Gov. Rick Perry called on state lawmakers to endorse a constitutional convention for a federal balanced budget amendment. Lawmakers that year failed to pass a law calling for a convention. Burton at the time told the Fort Worth Star-Telegram that such a convention could allow "anyone to offer up any number of amendments ... based on their own ideology and interests, which could ultimately radically change our Constitution." A spokesman for Burton did not return multiple requests for comment since Friday about whether her views on a constitutional convention had changed. “The worst thing that could ever happen is that the convention would propose amendments that would be beyond whatever scope they were supposedly given, and then three-quarters of the states would have to approve them,” he said. Even U.S. Sen. Ted Cruz, a longtime Abbott ally who worked under Abbott when Abbott was attorney general, has suggested he may support a constitutional convention in the future but has not gone as far as Abbott on the issue. Campaigning last year in Iowa, Cruz, a Republican presidential candidate, predicted there would be "more and more movement" toward a convention if Congress did not act on constitutional amendments. On this issue, Abbott may be more aligned with one of Cruz's rivals for the GOP presidential nomination. Last week, U.S. Sen. Marco Rubio from Florida called for a constitutional convention in an op-ed published in USA Today.